Hello guys, I am Niranjan student of the university of Calicut. I appeared in the examinations last year. and also have printed my report card but by mistake it is now lost. For the future it will be required. So please share with me how can I found out my old result?? 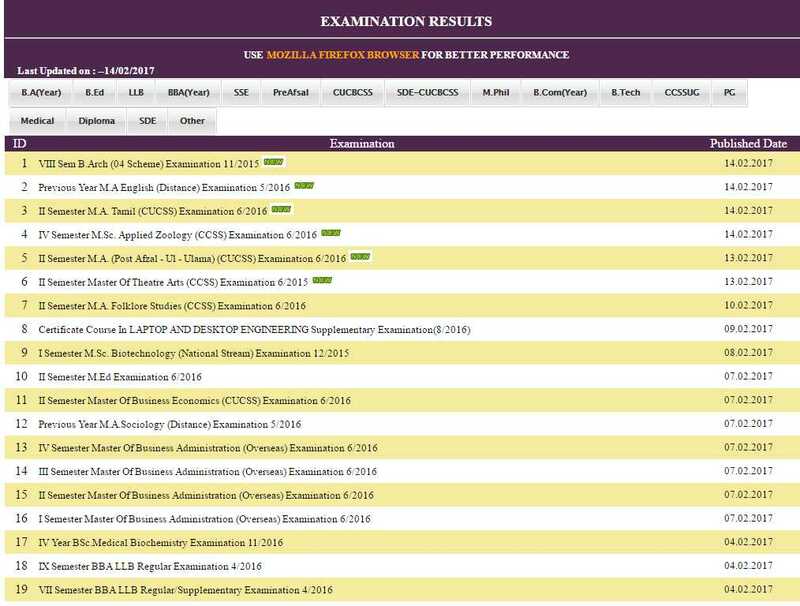 Hi buddy can you plz tell me how one can check University Of Calicut various exam result , as I want to do check University Of Calicut M.ed exam result ? ?